The Regatta Saturday 31st May & 1st June 08 - Programme, Announcement, Rules, Map, Registration, Map, Logistics, Accommodation. Airports - Anyone want to add any preferred airlines, etc? 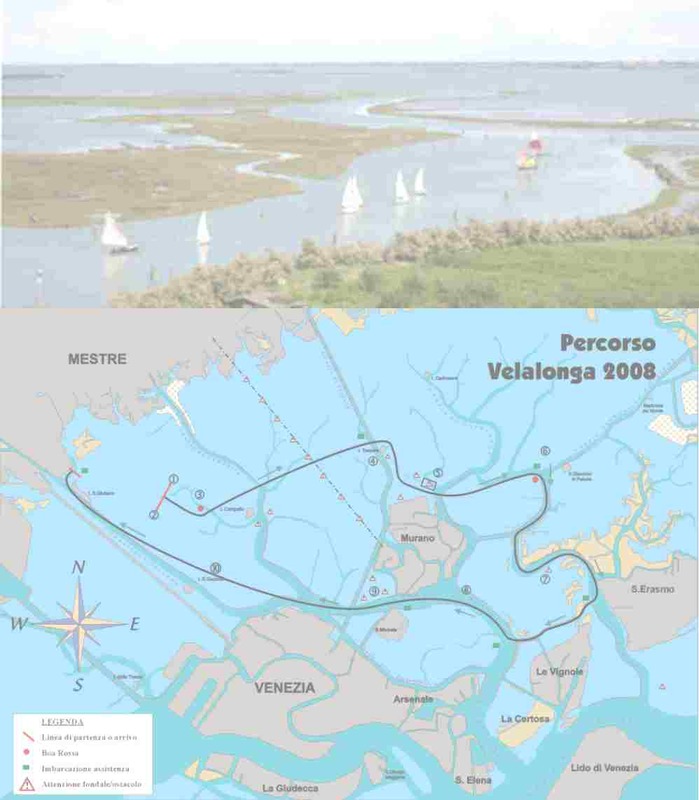 What is the Velalonga 2008?
. . . Map of the Regatta course? "Velalonga Raid" - Tue 3 - Sun 8/6/08 "or this? " Italian Trains Official timetable, information, tickets, etc. "Italyheaven"The lagoon, the islands, the mud, .......! VeniceWorld Loads of stuff about Venice: museums, concerts, eating, shops etc. Venice Guide By Travel plan. Food drink, museums, sites, etc. * How are you? - Come sta? / Come stai? * Fine - Sto bene. * Where are you from? - Di dove sei? * Do you speak English? - Parli inglese? * I do not understand - Non capisco. * A table for two, please - Un tavolo per due, per favore. * May I see the menu? - Potrei vedere il menù? * What would you recommend? - Cosa ci consiglia? * I'm vegetarian - Sono vegetariana. * May we have the bill please? - Può portarci il conto, per favore? * I have a table reserved - Ho prenotato un tavolo. * I would like to see the menu, please - Vorrei vedere il menu, per favore. * I would like to order now - Vorrei ordinare ora. * To start, I would like the ... - Vorrei degli - come antipasto. * Where is? - Dov'é -? When is the next boat / ferry / hydrofoil to...? Quando parte il prossimo battello / traghetto / aliscafo per...? Is there a car ferry to...? C'è il traghetto macchine per...? How much is it for a car and ... people? Quanto costa per un'automobile e ... persone? Da dove parte il battello? When is the first / last boat? Quando parte il primo / l'ultimo battello? Is there somewhere to eat on the ship? C'è il servizio ristorante sulla nave? With thanks to the Velalonga organisers for these two background graphics - Originals available on their website/s.